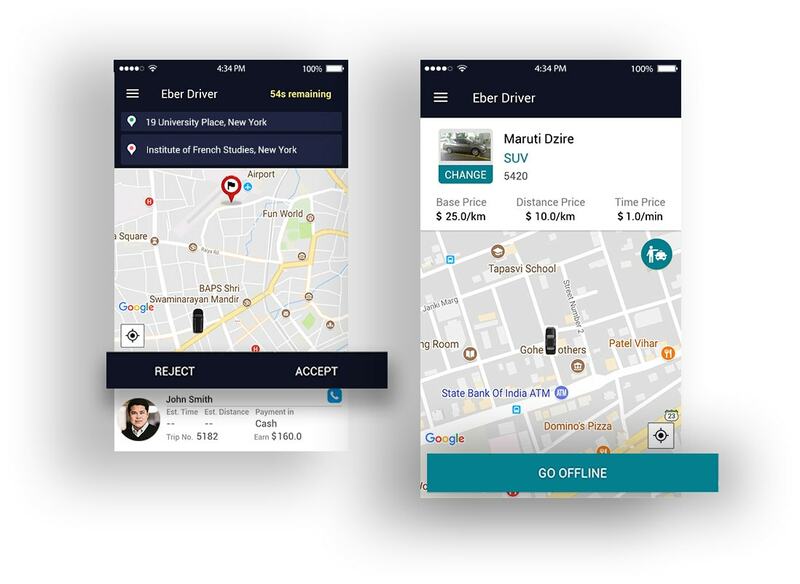 Along with the calculations, the quick jump into a new field of business matters a lot while you are thinking to start an app-based taxi business. Finding some solution like taxi app for sale is a good idea to get the quickness for starting the business. 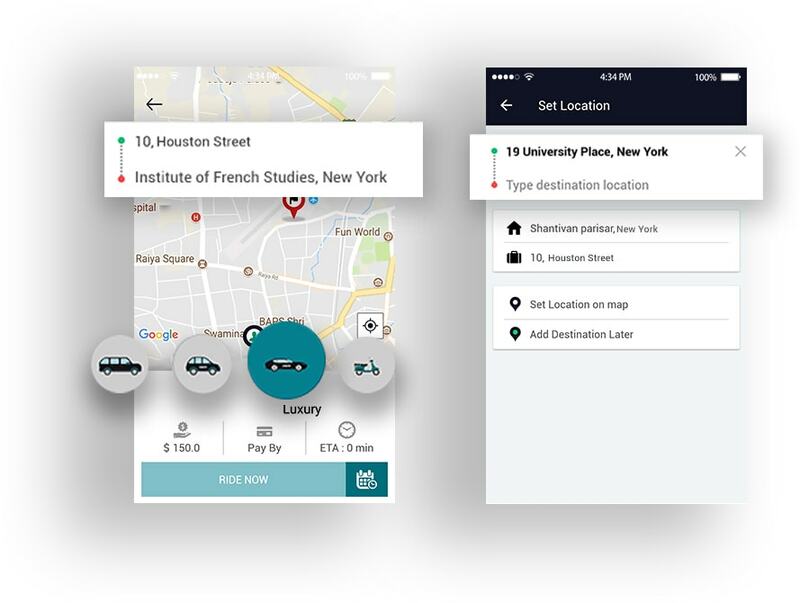 The taxi apps work well and the same for all sized businesses whether they are well-established giants or just new startups who are just going to get started with this approach. 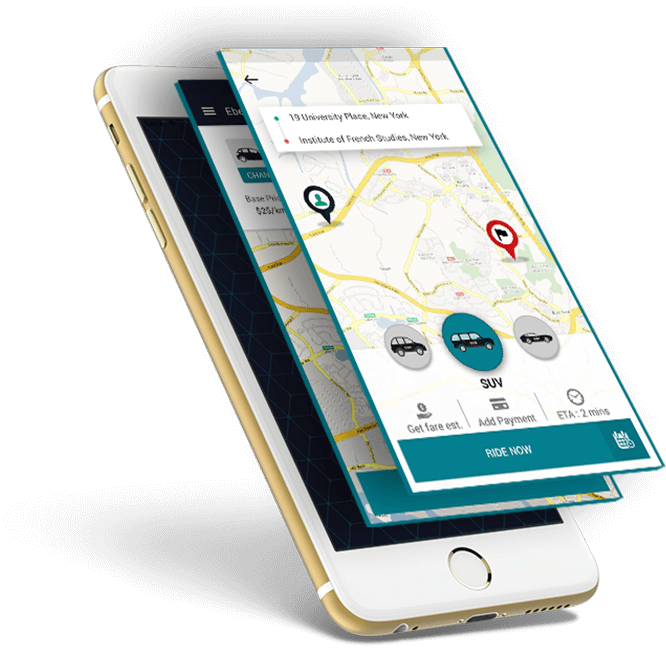 Look around yourself to get a taxi app for sale so that you can start the business as quickly as possible without jumping into the complexities of taxi apps. Our smartly developed taxi app for sale would never make you feel something lacking. Our feature rich app would make your business complete. The flexibility of our taxi app would never create any barrier between your success and its scalability. Extend the app as your business grows. Our app is fully customizable so we can include the elements that you want to see in the app of your dreams and it also works very efficiently. Are You Eager To Know More About Our Taxi App? Book the cab at any time and from anywhere. The nearest driver will reach to provide the service. Enjoy the ride with a featureful and futuristic app. 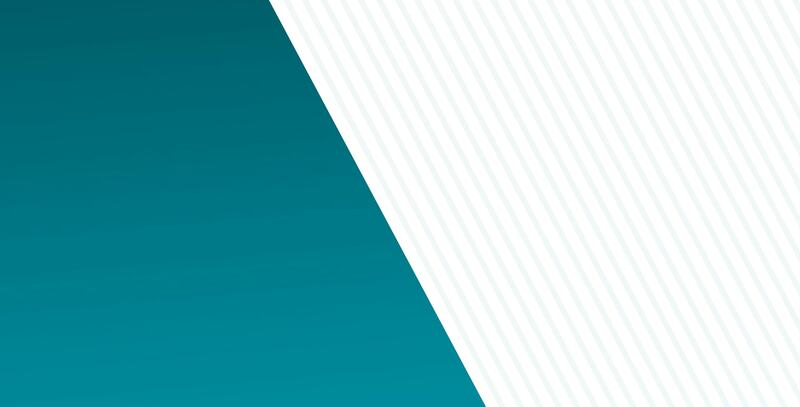 Share your thoughts about the service and app. Buy Taxi Apps Know What Exactly Is Included In The Bunch? The details of the particular vehicle would be available in the rider`s app in which the rider is going to ride as he/she has booked the taxi service. Review and ratings are the places where a rider can share their views and provide feedback about the app and its various types of services. The advantage of surge pricing can be received by the rider with the help of the rider app where the rider can get all those benefits of surge pricing. The riders can simply set the current and destination location within the rider app where they can type the location or can simply pinpoint it. 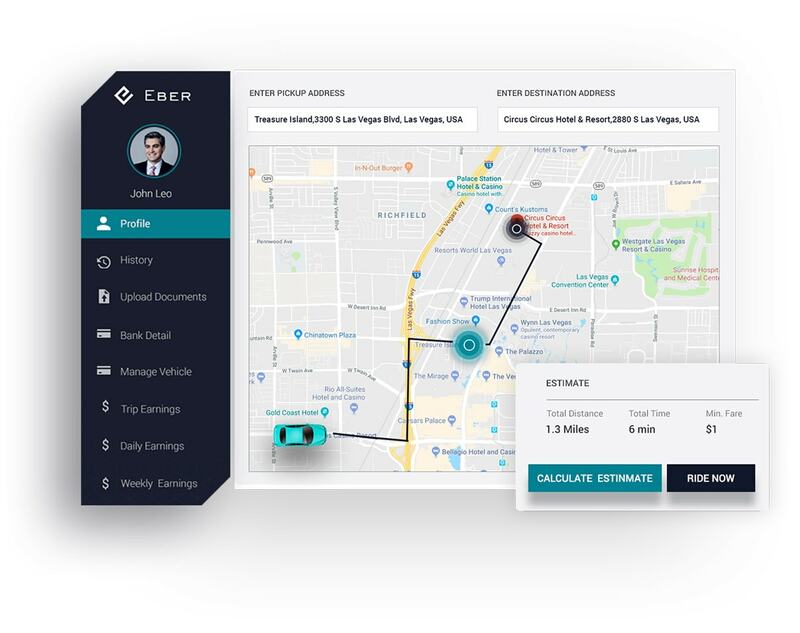 With the help of the navigation feature of the driver app, the drivers can get the right path and real-time updates related to the path they are following. Social media login is a time saver feature for the driver app from where the drivers can do the fastest login with the help of social media platforms. 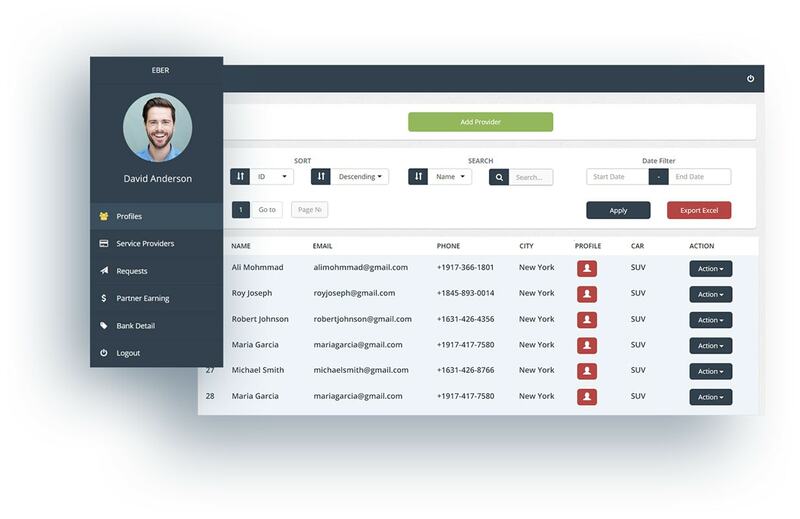 The driver can create their identical profile from the driver app where they can add details, remove details or manage a different kind of details. The drivers can call the rider in an emergency situation or in case they are going to get late because of any reason. They can update the riders. The map view of the admin panel enables the admin to check the current position of all the service providers and riders on a real-time map. Hotel details section shows all the details of hotels working collaboratively with the taxi app business. The admin can edit those details as well. The multiple countries feature allows adding new countries to the app as the business grows in new countries. Admin can manage it from here. The weekly earning section shows the earnings of each week. The admin can explore it and can analyze it to take further steps for the future. The dispatchers can export every type of data whether filtered or unfiltered manner in an excel sheet from where they can analyze it comfortably. The dispatchers can create future requests from the panel that means they can create the scheduled ride requests along with instant requests. 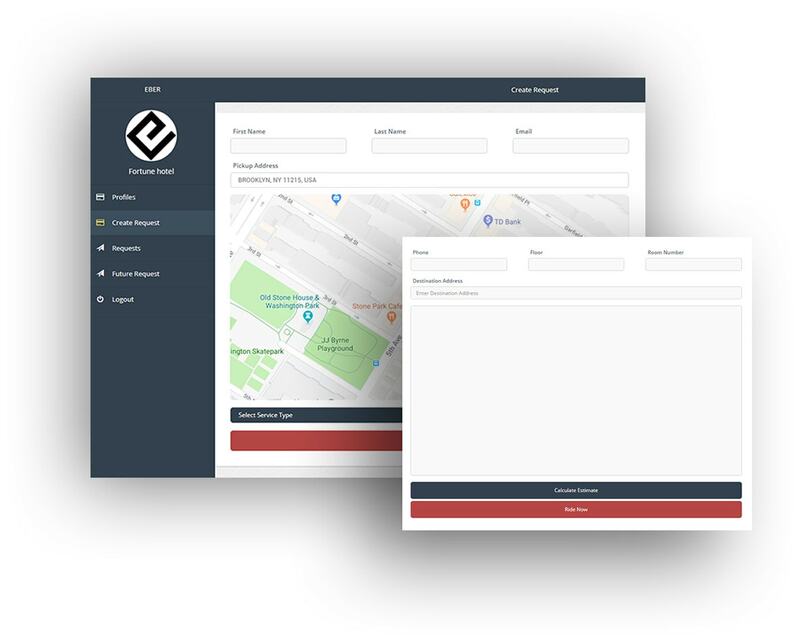 The dispatchers need to create a profile from the dispatcher panel in order to start serving as the dispatcher and start creating taxi requests. Adding bank details gives the facility to get paid directly into the bank account. Each ride`s commission can be received from the same process. The riders can set the current or destination location easily by pinpointing them on the map screen or they can type it manually on the screen. The riders can explore all the history of the rides that they have booked and completed till the date along with all its details from the rider panel. The verification procedure is to confirm the ride request from the rider side. The rider can simply verify the ride by following the process. The riders can explore the ride data along with the invoice details. They can simply analyze it online or can download it for offline analysis. The drivers can upload the documents online within the driver panel. The verification process can be completed this way in the easiest manner. 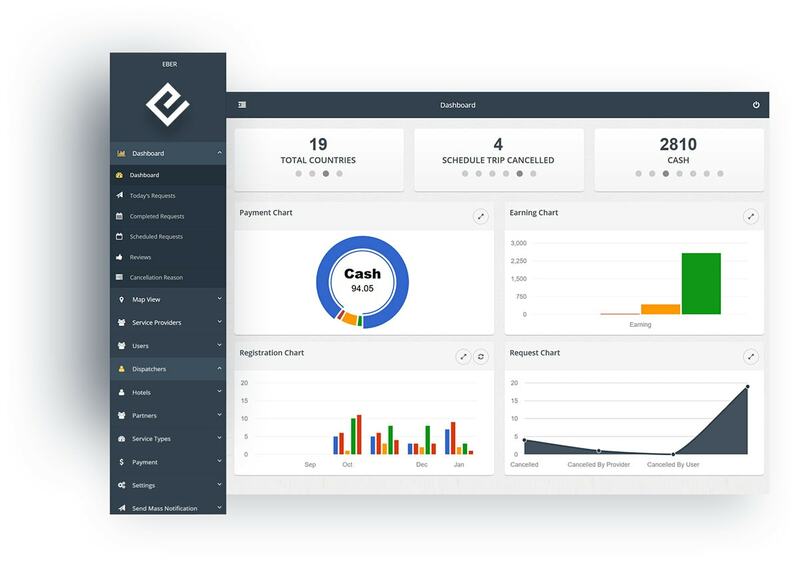 The drivers can check their earning details into the earning details section of the panel from where they can also manage the earnings as well. The filters enable the drivers to explore various details as easily as possible. The filters help to sort the data in different ways and different orders. The vehicle management is available inside the driver panel from where the drivers can manage each of the service vehicles separately. 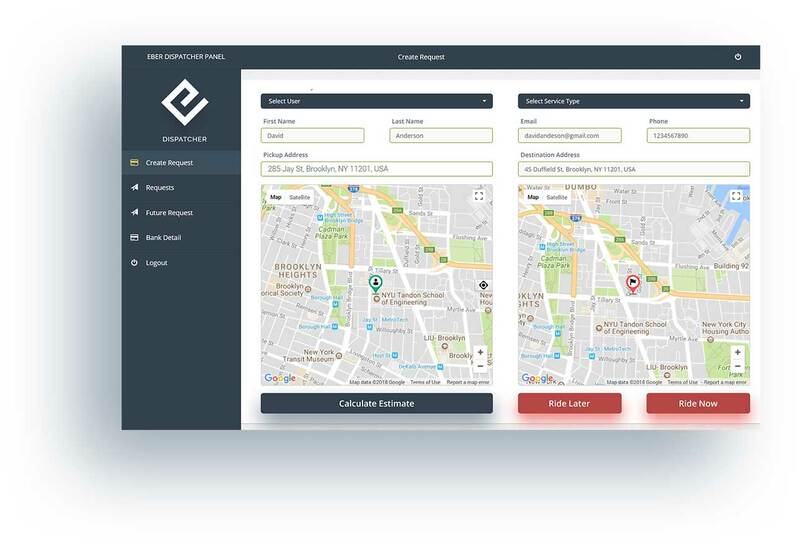 The partners of the taxi business app can create their separate profile from the parent panel and they can help to manage the business. 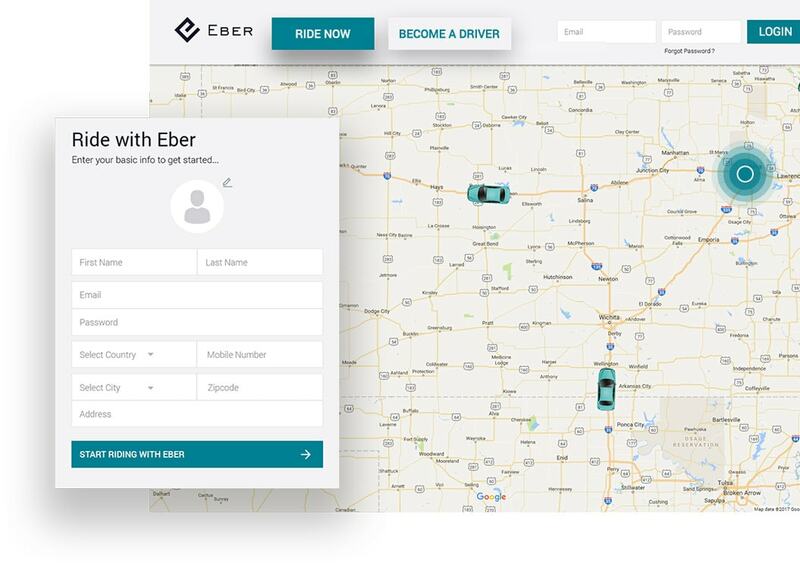 The request feature in the partner panel enables the partners to create the ride requests on behalf of the riders from the partner panel itself. The service providers can be added or removed from the partner panel as the partner wants. They can edit the details of them from here. The partner can check and manage their earnings from the partner earnings section. They can even check the details of each earning from here. The registration and login is a mandatory procedure to be followed. After completing this process the hotels would be able to book the rides. The hotels can create the ride requests for their guests inside the hotel panel. They just need to add a few details to complete this process. The hotels can explore various kind of available data from the hotel panel itself. They also have the facility to download it in an excel sheet. Date filter helps the hotels to explore the data in particular date wise. Just entering starting and ending dates is enough to get particular data. How Our Taxi App For Sale Has Taken Its Shape? We strictly believe in following the rules and norms of app development to serve you only with the best products. One of the results of our strict belief like that is in front of you in the form of the taxi app for sale. We keep the things polishing with the latest development approaches so that our products never turn into an outdated one. Our focus always remains on the quality of the products with which we are going to serve the enthusiastic and energetic minds of every generation. We always offer such solutions that can be molded as per your needs. The perfect analysis of your requirements would make us understand the complete need of yours with an app to start the taxi business. Our designers would create a stunning theme with the perfect combination of colors that would match your brand and help to create an identity. The developer team of ours would take care of all your needs related to features and customizations. They would add the features of your choice. The squad of our testers can find every single loophole that may occur after the launch but they find it and fix it to serve you the completeness. We would help you to launch the app of your dreams on various app distribution platforms and also ensure that you get the total support. Do You Want To Know About The Packages That We Offer?